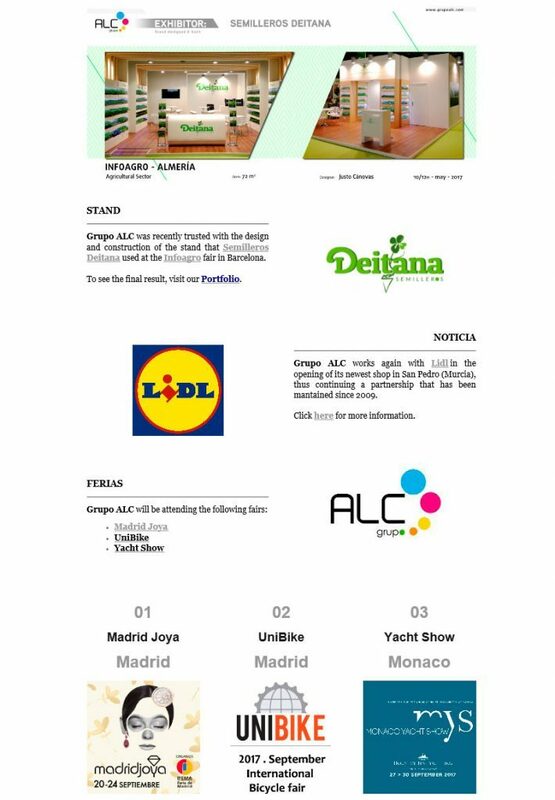 We send a monthly Newsletter to those interested, where you can find one of the most relevant stands we have developed that month, as well as the latest news to keep you informed of the developments in Grupo ALC. What can you find in the Newsletter? 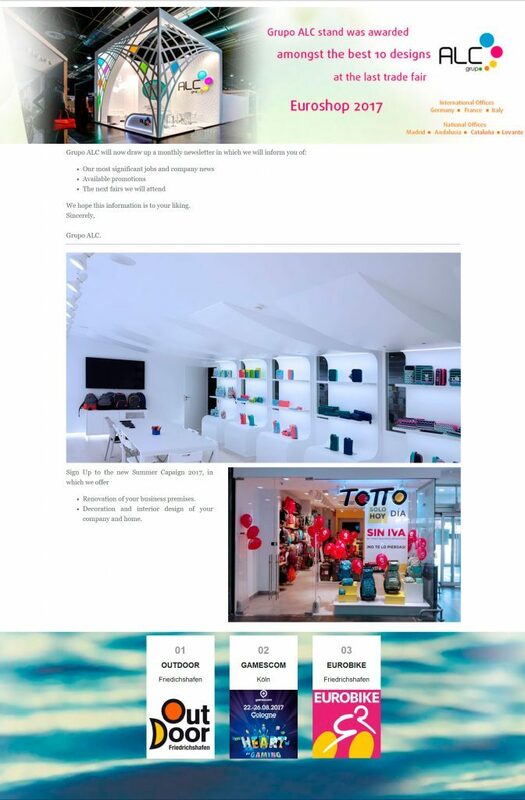 Sales and promotions in interior design, decoration, creation of stands, etc. 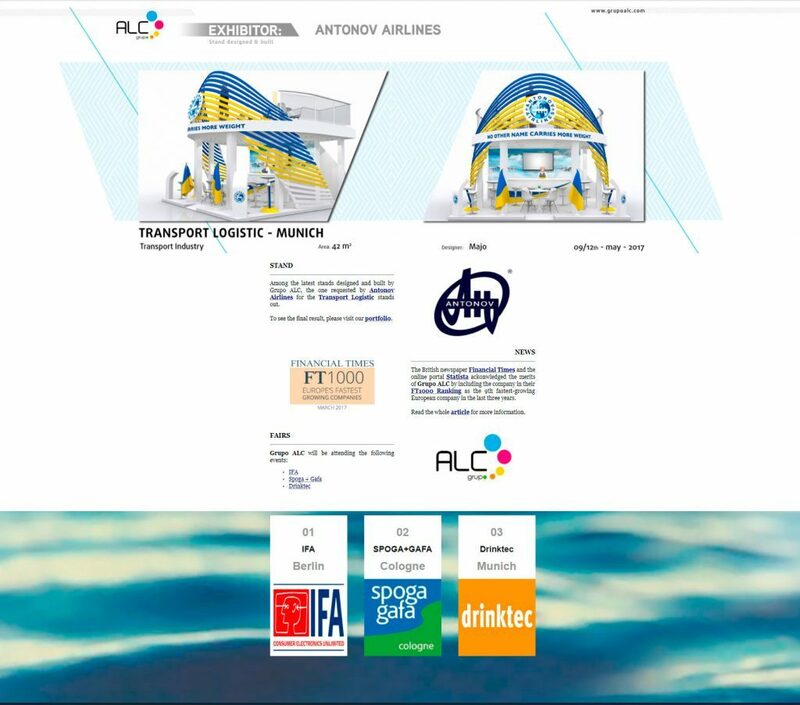 Click the following icon and add your email to our contact list to keep yourself informed of the offers and news of Grupo ALC.